Facebook has been a hang out for all the bloggers around the world.Just search for the bloggers group by simply typing "blog" and you will find a lot there. Filipino bloggers alone has more than 20 groups with the same purpose but different set of rules to follow. Each group may have different rules and guidelines but all are in one goal, which is to increase the site's traffic, to help with opportunities to make money online, to gain blog followers and so forth. When I moved to USA, I stayed away from face book and blogging for almost a year. But when my youngest son started schooling , I got hooked up with facebook again and eventually blogging . I revived my blog and started connecting it to other by using the Facebook search tab. I became members of some group, then created my own group, Filipino Bloggers Worldwide which aims to unite all the Filipino bloggers around the world. I never thought that the group will go a long way and reached more than 1,000 members in such a short period of time. The group is open to all Filipino bloggers only, so if you are a Filipino blogger make sure to join us to drive traffic to your own blog as well as build a relationship with other bloggers. Here are the list of Top Facebook Flipino Blogger groups that you might want to join. blog comment exchange, share experiences and many more. Obviously, my number one favorite and you know the reason why. Bloggers Worldwide - The newest blog of all, as the name implies, all nationalities are allowed here. They focused more on discussion about blogging, comment exchange and social syndication. Daily updates are not allowed on walls but can be posted in one sticky file. Ask Pinoy Bloggers - If you are a blogger with a lot of questions or willing to help others with questions about blogging, SEO, earning or any discussions that will benefit each other, then you are most welcome here. 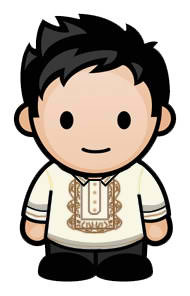 Kablogs or Kabayan Bloggers - KaBlogs-PEBA-The KaBlogs Journal Group. I started with this group, a small group with no rules to follow. Filipina Bloggers United - This group is for all female bloggers only. 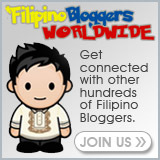 The group started with one goal which is to unite all the Pinay/Filipina bloggers worldwide . Proudly Pinoy Bloggers - Meet other bloggers to talk about blogging, internet marketing, social media, tips and techniques, practices, SEO, writing and general support. Bloggers Community - This page is open to all bloggers- All over the world. The goal of this page is to connect all blogger. Regardless of gender, color race, religion, beliefs etc.Where ever you are,what ever you are. If you have any other group to suggest, please comment to update this list. Thanks for the info Ms. Tess. Will join the groups now. :D Thanks for the info! That is nice of you Mommy Tess!! Thanks for including FBU. Meron pa isa, hehehe... update mo na lang later if pwede. Weeeehhh!!! I'm glad to be a member of this group! wow, I didn't know there's many of them....thanks for sharing! Go Pinoy Bloggers! Social media indeed let Pinoys around the world unite! none of those group I am a member with. I enjoyed being a part of a group especially when members are trying to help each other and not letting everyone down. I joined more than 10 groups and majority of them are professional when it comes to dealing responsibilities. I learned a lot from them and it helps me improve whatever i may be lacking with.